Liz Hogarth of Red Bus Nursery writes: "Thank you to The Yurt Workshop for such a wonderful job, professional and helpful from start to finish, we love the end product, thank you Rob and Ratna"
Over the years we have supplied yurts to a variety of educational establishments, schools and universities. Last month we sent a 21-foot glass wall yurt to Red Bus Nursery in Bristol. This week we are finishing off small bespoke yurt with glass front for Goldsmith's, University of London. Yurts are ideal for extending your schools premises. Our clients have found them not just cost-effective but extremely versatile and beautiful. 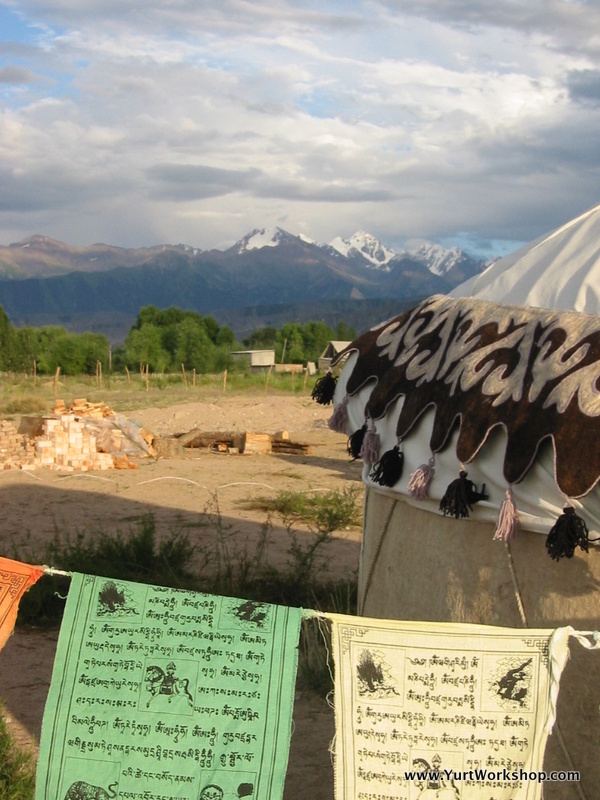 Children simply love yurts. Our very special glass-walled yurts seem to be well suited to schools. These yurts allow you to decide how much glass wall you want. In the photo above this 21 foot (6.4m) diameter yurt is enhanced by the 7m of glass panels and glass door. In the photo above we are finishing the frame for a small yurt for use in a university. The addition of two glass panels each side of the door and a large window in the door means there is plenty of light in this yurt even though it will be covered with three layers of covers, including wool insulation. This yurt has been modified to allow wheelchair entry. If you are interested in having a yurt for your school email or call me to discuss your requirements and find out more of what one of our yurts can do for your school.